Antifungal foot & body cleansing wash made from pure and natural coconut oil lauric acid esters. Probelle coconut soap contains a unique, patented form of lauric esters, which make it more effective in protecting against bacteria and fungus THE SCIENCE: Probelle Cleansing Wash also has a patented mixture of a class of ingredients called lauric esters, the most well-known of whgich is glyceril laurate, popularly known as "monolaurin." In nature, lauric esters are gentle but powerful antimicrobial substances made by the body by the digestion of lauric-rich foods like coconut oil or, for nursing infancts, breast milk. Healthy skin relies upon natural defenses that include lauric esters. 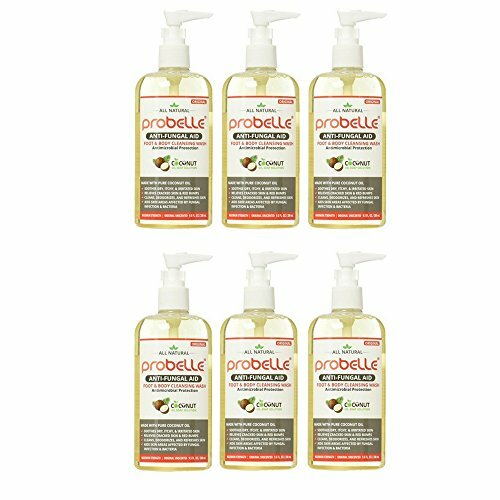 Probelle Cleansing Wash augments and complements the natural defenses of healthy skin. DM-9055a professionelle Spinnenvenenbehandlungsmaschine für gebrochene Kapillaren.